We are a family company with a long-standing tradition, engaged since 1993 in the processing of recycled cable PVC. 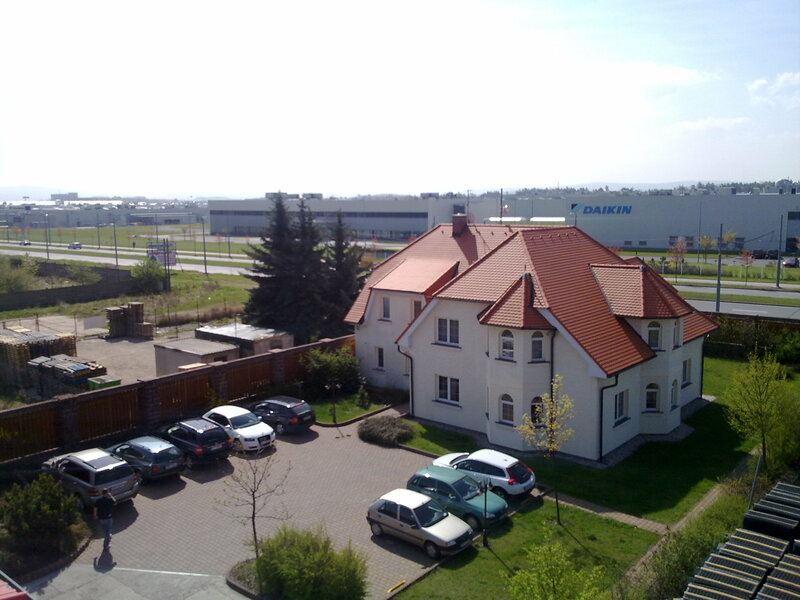 Our base and production can be found in the west bohemian metropolis – Pilsen, where 7 days a week, 24 hours a day, we produce a wide portfolio of products with an even wider range of uses. All products are made from 100% recycled cable PVC, which is processed and imported for Replast by their sister company Recyklo. Every day production requires 27 tonnes of recycled PVC. If you added up the lengths of cable from which material is taken for a year’s use, you would end up with over 60 thousand kilometres of cable, which means that you could wind the cable one and a half times around the entire globe. This number makes the company Replast the largest reworker of cable PVC in the world! One of the largest categories of the portfolio is ground protection mats. These are made in 2 sizes, 3 different heights, 11 surface designs, with 3 different connection systems. Their physical and chemical properties completely respond to the characteristics of PVC, therefore, they are an excellent heat insulant, are fire resistant, non-slip and chemically stable. Thanks to all these characteristics, the mats are suitable for interior, as well as exterior purposes. They are suitable for production halls, warehouses, workshops, winter sports stadiums, for agricultural and breeding purposes, but also for cultural and sporting events. An equally important category is that of road sign components, which includes lane delineators, carstops, speed bumps and kerbs, as well as sign bases. The full range of the portfolio is completed by products such as manhole covers, underlay blocks, cable bridges and protectors, and temporary road panels. As well as advice, we also offer our customers laying and installation services for all our products. The quality of Replast products is proven above all by the satisfaction of our customers throughout the world, which is the most important measure for us, but is also demonstrated by the significant awards in all the fields in which our products are supplied. For example, we could mention the Grand Prix awards from international exhibitions such as ZLATÝ KŮŇ (The Golden Horse), EKO CITY, FOR ARCH, FOR WASTE, EURO TRAFFIC, etc. You can find out more about our awards in the AWARDS section. Our attitude to ecology is expressed not only by the processing of 100% recycled material, but also by the use of “GREEN ENERGY”, thereby contributing our part towards redressing matters which have previously been neglected. In addition to our ecological principles, our activities are also governed by the system standard ISO 9001:2008. The as yet unused potential of such a versatile material as recycled cable PVC without a doubt gives us room for further development, and to find further uses. Our greatest inspiration is you – the customer. Your requests and requirements drive us forward, and for that we are very grateful. We thank you and look forward to our cooperation.